(8-20-1888--2-10-1960. John Starnes Todd, named with the same exact name as his grandfather, was born in Logansport, Cass County, Indiana on the 17th anniversary of the Great San Francisco Earthquake. The quake was on Wednesday, April 18, 1906 at 5:12 A. M. John's birthday was on Wednesday, April 18, 1923. 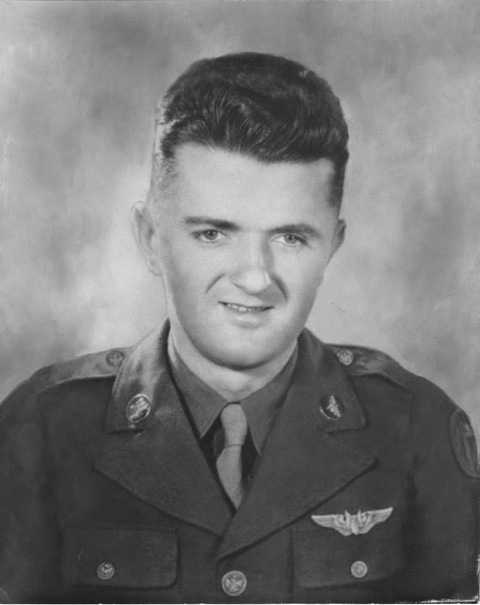 John, a World War ll tailgunner on a B24 bomber, was first reported as, "MIA" (Missing in Action) on November 21, 1944, which was later changed to, "KIA" (Killed in Action). This, of course, is still listed as a "PRESUMPTIVE" date of death. 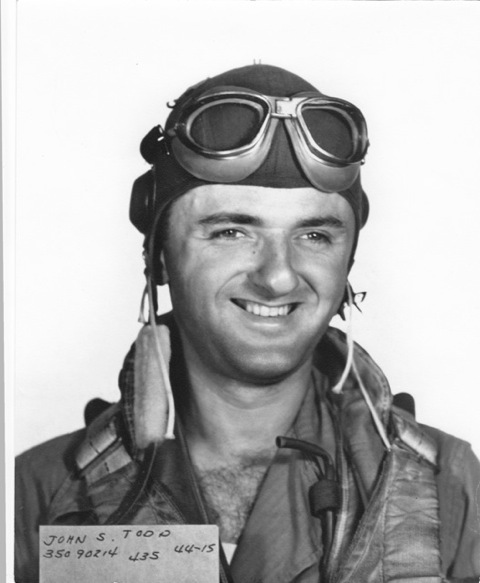 He was shot down near Kemper, Holland. 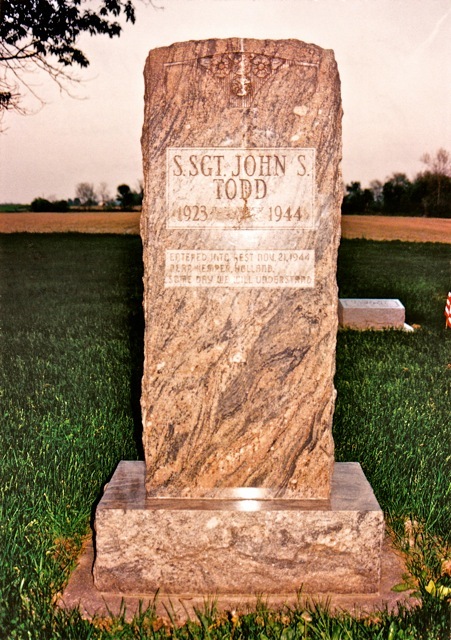 Reportedly, he was buried three times, the last time being next to John Henry and Flora, his parents, in Paint Creek Primitive Baptist Church cemetery, about four miles east of the little town of Camden, Carroll County, Indiana. Nearby is his Uncle Noah Preston Todd and wife, Julia, AKA "Julie". SOME FEBRUARY DATES. In the Bible records of John's mother, Flora, there is a notation that he entered the service on February 9, 1943 in Cass County, Indiana. This was three days after the 36th wedding anniversary of his parents, who were married on February 6, 1907. John's brother, my father, Francis ("Frank") Leverett Todd, was married to my mother, Evaleen Rosemary MurphyHarvey Allen Todd, Senior. Allen was another son of John Henry and Flora. Also, the names of John Starnes Todd, Francis ("Frank") L. (Leverett) Todd, and Harvey Allen Todd (Senior) were all posted on "The Cass County Roll of Honor", next to the City Building in downtown Logansport, Cass County, Indiana. This monument commemorates Cass County's World War ll veterans. May they all "Rest in Peace." In conclusion, there are at least three or more who share the exact name of John Starnes Todd. 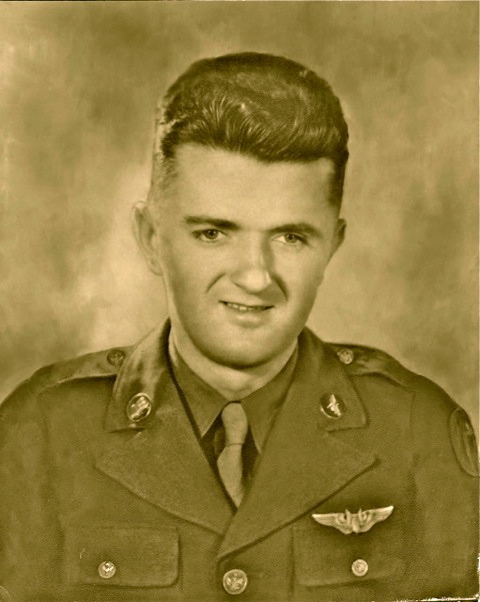 Uncle Johnny, my Dad's youngest brother, in his tailgunner regalia, above, has been colorized by Angela (me). He was my uncle and died before I was born. I was born on Tuesday, July 1, 1947 in Logansport, Cass County, Indiana. 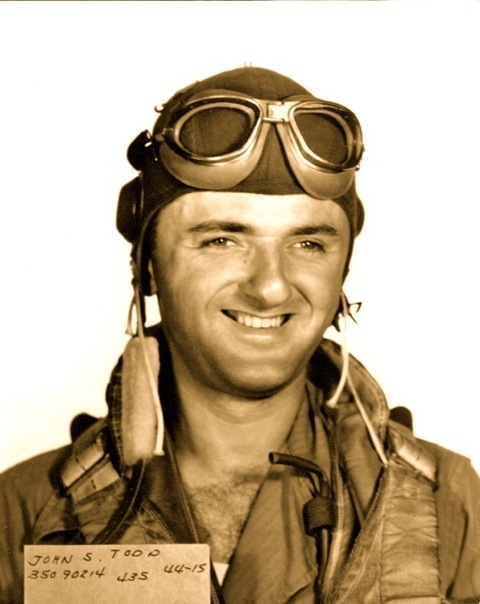 This is the original photo, above, of John in his tailgunner regalia. Note his serial number. Here is Uncle Johnny in his dress uniform. 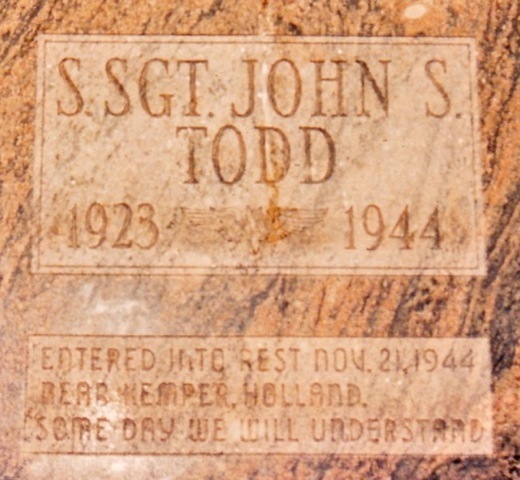 CLOSE-UP OF INSCRIPTION ON HIS STONE. ORIGINAL PHOTO, WITH BAD RESTORATION JOB ON THE EAR ON THE LEFT, WHICH HAD FADED. THAT RESTORATION WAS NOT DONE BY ME. SUBMITTED BY: ANGELA FRANCES TODD ON TUESDAY, MAY 17, 2011.